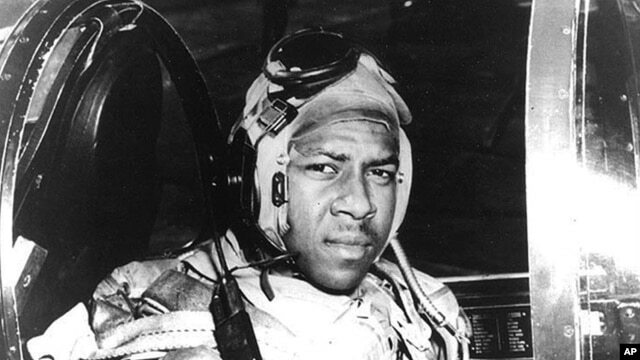 Jesse Brown was the first African-American to be trained by the U.S. Navy as an aviator. 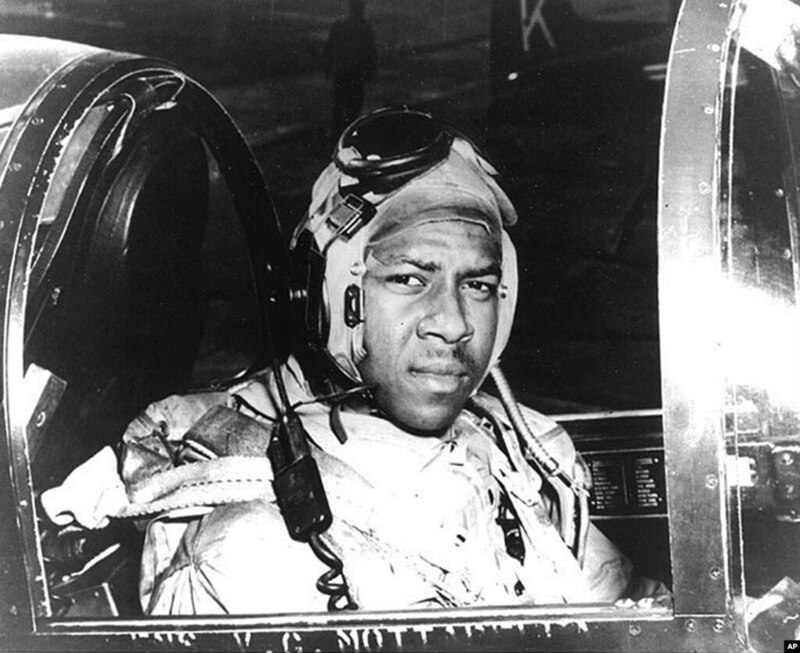 On his 20th combat mission in the Korean War, he crash landed his plane on a near vertical snow-covered slope on December 4, 1950. Pilot Jesse Brown is seen in this undated file photo from around 1950 provided by the US Navy. Brown and Hudner were each flying as part of a mission providing air support for 8,000 Marines badly outnumbered by Communist Chinese soldiers in sub-freezing weather. From his own plane, Lt. Hudner realized Brown had survived the impact and was alive in the crumpled jet. Hudner decided to crash land his plane some 100 meters away from Brown. A Marine helicopter, at Hudner's request, dropped an ax so that he could try to free Brown from the crumpled metal cockpit. Thomas Hudner was initially reprimanded for deliberately destroying his multi-million dollar aircraft in what some superior officers considered a foolhardy act. But the military later had a change of heart. An armistice in 1953 halted the Korean hostilities but not before the three-year conflict devastated the peninsula. Several hundred thousand combatants died and more than two million civilians were killed or wounded. 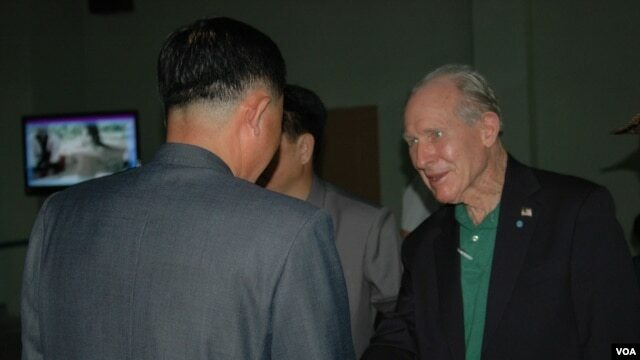 The forces that opposed each other - the U.S.-led United Nations troops, (which included South Koreans) and the North Koreans and Chinese on the other side never have signed a peace treaty, meaning a technical state of war persists with the 38th parallel continuing to serve as the de facto border. 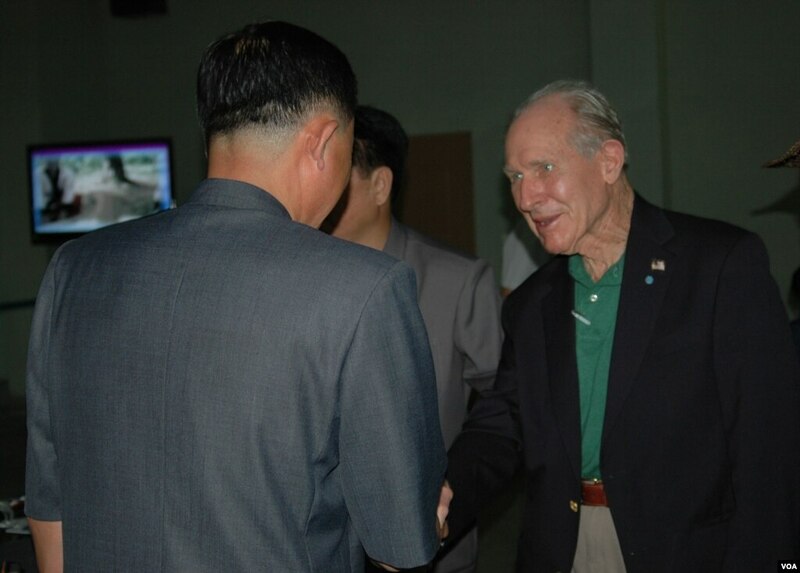 For a U.S. Medal of Honor recipient to fly into the North in 2013, whatever the noble cause, could generate criticism of Hudner back home. Among those hoping the belated recovery effort will succeed is Brown's widow. “She is overjoyed at this,” said Hudner. “Her son, her daughter and grandchildren are almost as anxious as the widow is,” said Hudner.